Thank you YEG for voting us BEST DANCE LESSONS 2017! Vue Weekly's Best of Edmonton 2017! 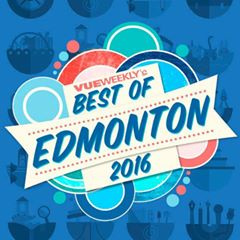 We are also honored to have won two categories in Vue Weekly's Best of Edmonton 2016: Best Dance Studio and Best Dance Lessons. Join Zahra this spring and learn how to Bellydance. Bellydance classes will be held inside of Dance Code Studio 10575 115St NW. We hope to dance with you soon! LOCATION: All Desert Rose Dance Classes are now being held inside of Dance Code Studio - Main Floor of Center 115. SAME ADDRESS: 10575 115 St NW. Register for classes online or directly with your instructor. Add a Belly dance or Burlesque workshop to your Stagette, Shower or Girls Night Out!! Email us at info@desertrosedancestudios.com for a quote.